“So you think you know,” Google teased via Twitter in the lead up today’s event. “Tune in tomorrow to see for yourself.” Turns out we were right. We basically knew everything there was to know in the lead up to today’s event, Pixel 3 and otherwise. Honestly, there wasn’t really a heck of a lot to keep under wraps here. 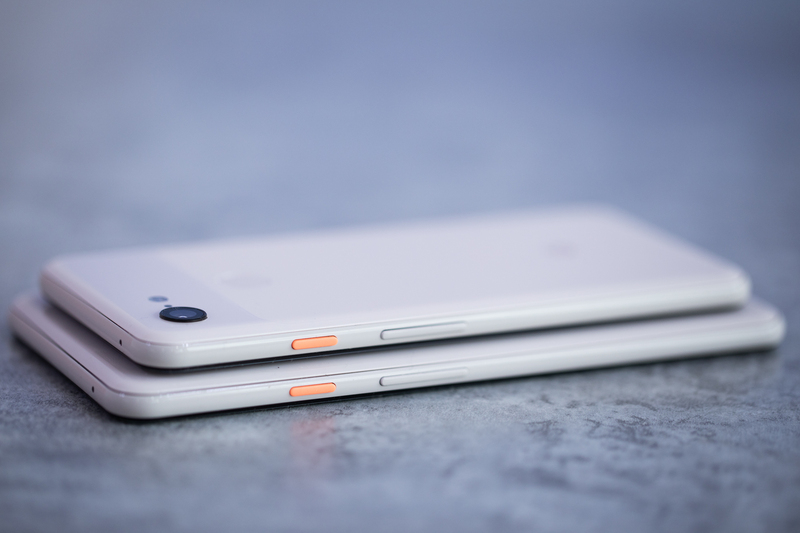 At first blush, the Pixel 3 doesn’t feel like a monumental upgrade from its predecessor — a feeling we had just about this time last year when the company introduced the Pixel 2. For some time now, Google has insisted that the future of hardware would largely come courtesy of its software. That’s precisely the sort of sentiment one would expect from a software company like Google. That was certainly at play here with the introduction of the Pixel 3. Google today spent little time talking about the hardware on either of the new handsets, instead focusing on what things like AI and ML can bring to the table on a product like this. 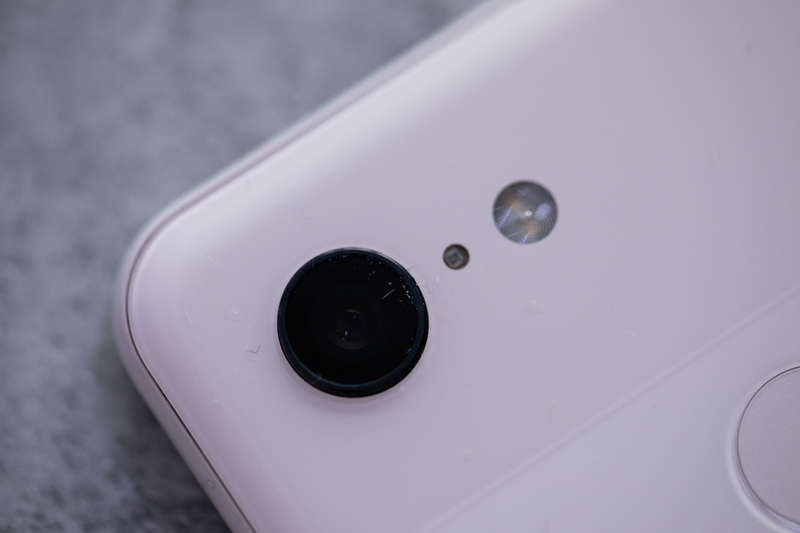 Keep in mind, while Google quickly established itself as a premium smartphone maker, Pixel products are what they’ve always been: a showcase for all of the things Android can do in the most ideal conditions. 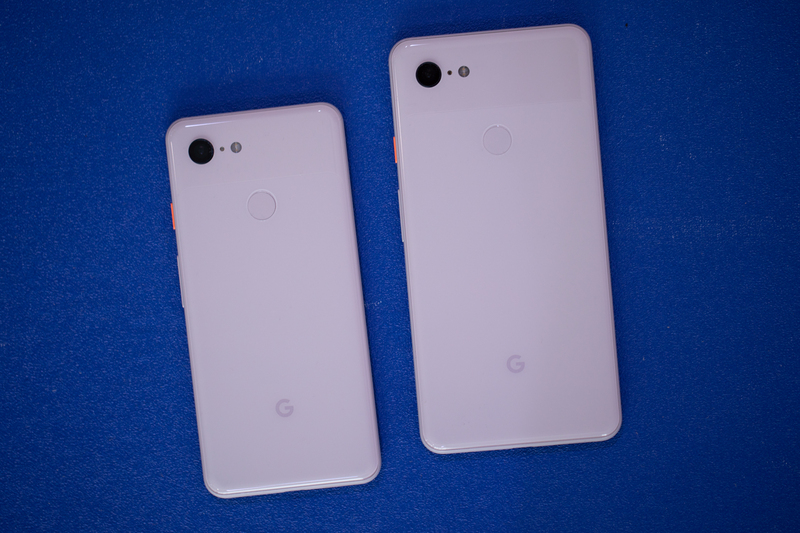 The new handsets don’t look radically different from the Pixel 2 — in fact, the casual observer would have some trouble distinguishing the two products at first glance. Once again, Google’s devices aren’t the slickest pieces of hardware — that title would likely either go to Apple or Samsung, depending on personal preference. And as for the Pixel XL — the damn thing is downright massive, really earning its name this time out. Those 6.3 inches truly feel like 6.3 inches. As such, the larger device isn’t for the small of hand or limited of pocket. 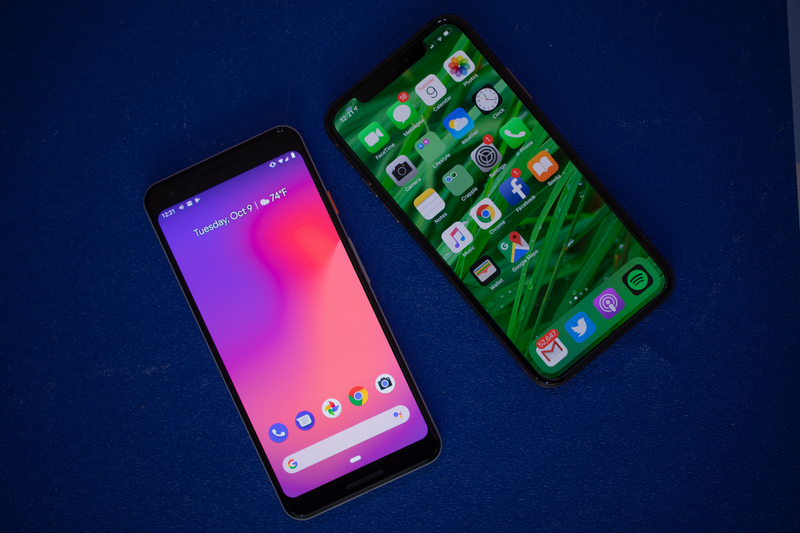 As initially reported, the larger Pixel has quite the notch this time, in keeping with Google’s embrace of the feature on the latest version of Android. This is thanks, in no small part to the addition of a second front-facing camera. That brings much wider angle selfie shots to the table — Google fitting spent a fair bit of time talking selfies at today’s event. Welcome to 2018, I guess. It’s a curious choice, given the fact that the company bucked the trend by keeping a single rear-facing lens. 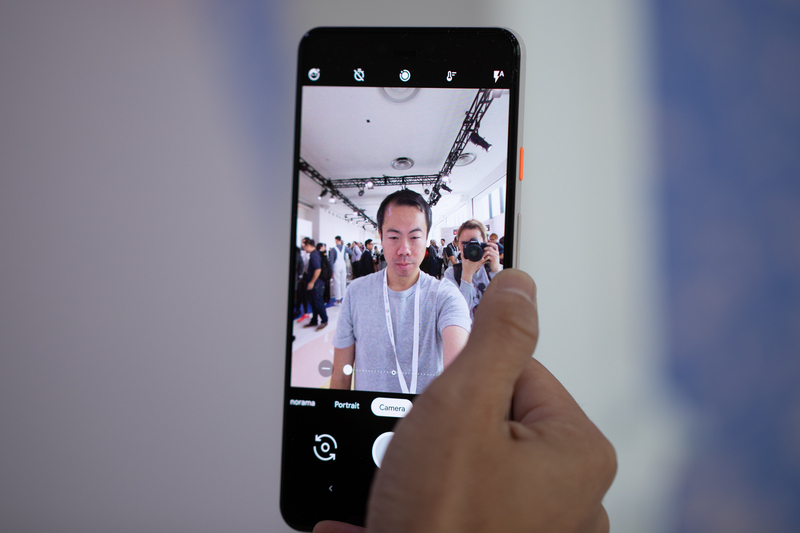 Again, the majority of the the camera features here actually come courtesy of Google’s own artificial intelligence and machine learning, which puts the device in a similar spot as the iPhone XS. The company really rattled through the camera features at the end of the presentation, but the super low light shots and zoom features are standouts I can’t wait to put through the ringer when we get our review units in the very near future. I’ll admit that the squeeze for Assistant feature has really grown on me since the days HTC launched it on its own device. Certainly it trumps something like Samsung’s devoted Bixby button — and not just because people actually use Google Assistant. It’s clear Assistant is only going to become more and more integral as the company moves forward. The price is really the thing here. That’s sort of the unspoken truth in all of this. There was a time, not too long ago when $1,000 sounded like an insane amount to pay for a flagship smartphone. Of course, both Apple and Samsung have changed that math considerably, and Google is undercutting the companies at every turn possible. Sure, $799 and $899 for the Pixel 3 and Pixel 3 XL aren’t exactly cheap, but in the age of the $1,000 flagship, it sounds like a downright deal.